The video game industry is as strong as ever and growing. Technologies continue to evolve so that gamers can participate with fellow players – together – from home anywhere in the world. And innovations like virtual reality are taking the video game experience to a new level. According to Newzoo, a company that follows the video game industry, gamers around the globe will spend over $138 billion on video games in 2019. The fact that video games are big business is not new. But how did we get here? 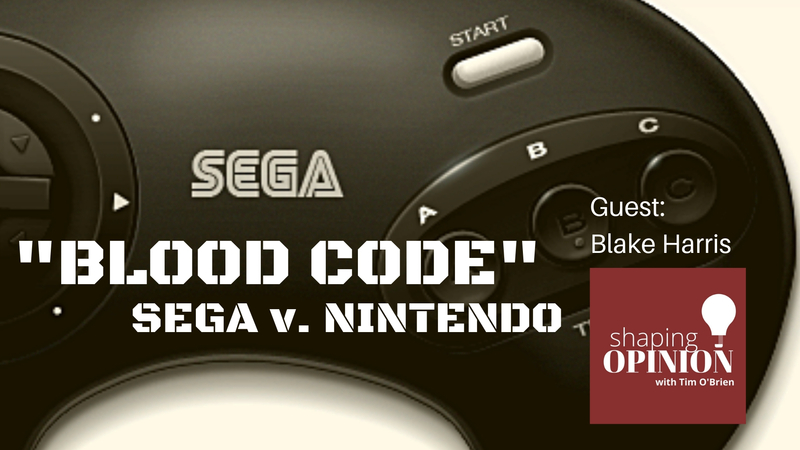 A case can be made that the video game market we know today can trace its roots back to the rivalry between Sega and Nintendo in the 1990s. Blake Harris wrote about the battle between Sega and Nintendo in the early 1990s. This is when video games grew from being seen as a fad or a toy, into mainstream entertainment for teenagers, and later adults. At the time, Nintendo owned the video game market with a 90 percent share. It was a $3 billion market at that time with one in every three American homes having a video game console. That was when the Japanese video game company named Sega saw an opportunity and made its move. It hired an American named Tom Kalinske to take over as head of the American division of Sega. The story of Sega as we know it today may start when Tom Kalinske was named CEO for Sega in North America. He had already served as the young CEO of Mattel and was recruited to take the helm of the American division of Sega. When Kalinske travels to Japan, he’s captivated by some products under development that include a handheld portable game system and a home console called Sega Genesis. Back in America, things weren’t so impressive for Kalinske. Sales and marketing are a mess, and the company is struggling. He decides that the company needs to unbundle its games and market each one individually. One of those games is called Sonic the Hedgehog. Sega’s Japanese management team resists, but eventually he gets his way, and successfully demonstrates Sonic at the 1991 Summer Consumer Electronics Show (CES). Between 1990 and 1992 Sega had seized 35 percent of sales by appealing to an older audience than Nintendo had appealed to in its marketing. The Genesis system quickly outsells Nintendo’s entry in the marketplace, and this is the first time since 1985 that Nintendo does not dominate the home console market. Not only did Nintendo have to contend with Sega, but in this same time period, Nintendo had run into some trouble when it tried to partner with Sony on video games. This led to problems later when Sony produced its firsts PlayStation game console. 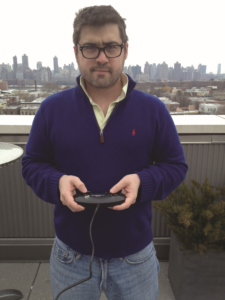 Blake J. Harris is the bestselling author of Console Wars: Sega, Nintendo and the Battle that Defined a Generation, which is currently being adapted for television by Legendary Entertainment, and producers Seth Rogen, Evan Goldberg and Scott Rudin. Harris has written for ESPN, IGN, Fast Company, /Film and The AV Club, and appears regularly on Paul Scheer’s How Did This Get Made? podcast (where he interviews the biggest names responsible for the worst movies ever made). His new book The History of The Future: Oculus, Facebook and the Revolution that Swept Virtual Reality comes out in February.